Over 400 million keys are thrown away each year around the world. That’s a lot of land fill and a lot of scrap metal. If you’ve recently changed your locks and have a few redundant keys kicking around or have a bunch in the back of a drawer that you’ve never used, here are a number of ways to put them to a practical use. Use your old keys to create a stunning charm bracelet. 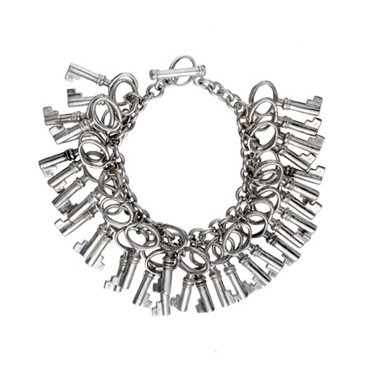 Using a simple chain bracelet you can attach all of the keys that you have gathered over the years to unlock some special memories, as well as impressing friends and family - the more diverse the keys, the better the effect. 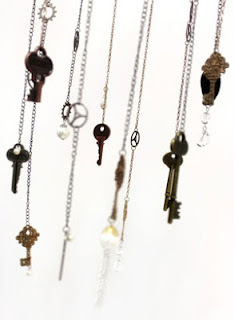 Keys are ideal for making a wind chime. The weight and shape of keys make them perfect for hanging and different shapes create various sounds and pitches. 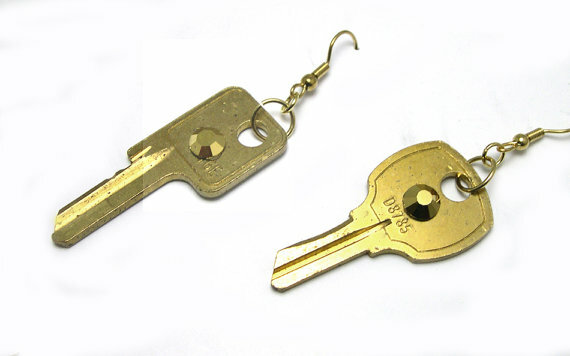 Use fishing wire to hang the keys from a metal hoop, which you can then suspend from the roof or nearby tree. Each key is unique. And because of this an array of different keys can create stunning images when they are displayed next to each other. 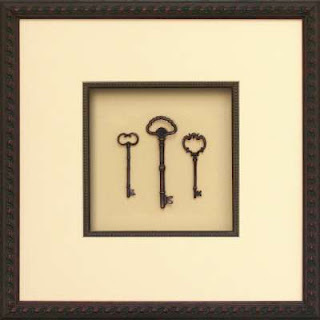 Position a selection of keys in an artistic arrangement on a wooden mount or frame and you’ll have the most unique piece of artwork for your wall – as well as a real talking point for visitors. 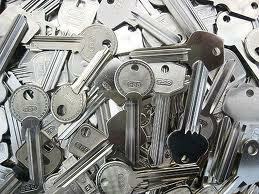 It’s an obvious solution, but keys are made from a range of different metals, most of which can be recycled. Take your old keys to your local household recycling centre and they will happily dispose of them for you in a way that is environmentally friendly. Some charities will even offer to take your old keys, melt them down and give the proceeds to good causes. Like with the charm bracelet, using old keys as jewellery can really make an impression. Fasten one, two, even several keys to a simple chain necklace to create a stunning piece of jewellery - using different shapes, colours and sizes to ensure your creation is unique and eye-catching. 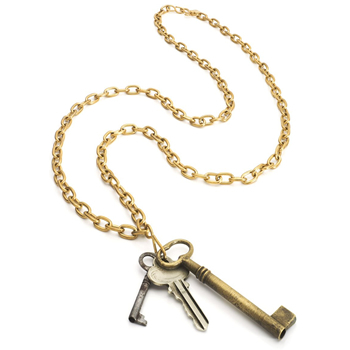 You could always attach one of your home keys to the necklace to ensure you are never locked out again. Make your tree or wreath stand out when Christmas comes around by using some of your old keys as decorations. Spray them in gold or silver to give them a new lease of life and then attach ribbons or holly to give them that festive feel. 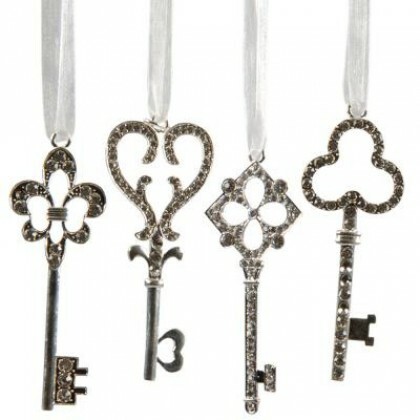 The keys can then be hung from the branches of your tree, door wreaths or even decorative table centres. 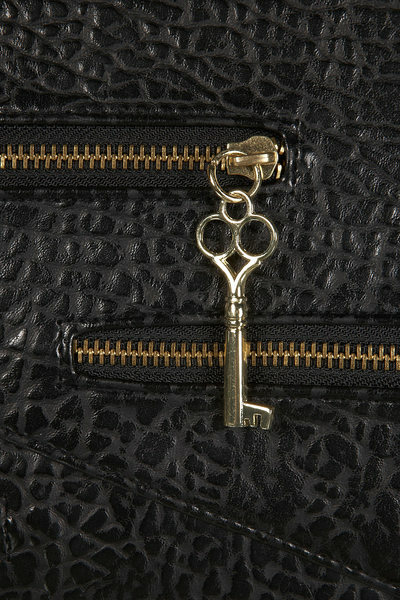 If you’re sick of studs or had enough of hoops, why not use your old keys to make a quirky pair of earrings? Give them a good clean to bring out the original finish of the metal or maybe spray them a new colour to really make them stand out. They may not be good for unlocking doors anymore, but keys can still have a life after their original job is done. As keys are designed to be robust and long lasting, they can still play a role around the home. 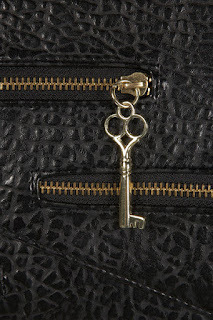 Use old keys to jazz-up old zip-fasteners on a bag or piece of clothing or maybe use them in the hem of your drapes and curtains to weigh them down at the bottom – be as creative and original as you want. Author Bio: Lucia is a full time blogger and designer who enjoys creating crafts from everyday items found in the home. She also contributes articles to Home Secure, suppliers of upvc door handles.